If you’re not one to ride slopes or explore Yellowstone National Park, then try visiting our Big Sky Town Center or Meadow Village. It’s considered downtown for Big Sky with numerous activities to do. There’s something for everyone! Big Sky offers some of the best year-round entertainment. Visitbigsky.org’s calendar displays events that has everything from live music to weekly community events. Discover all there is to know and live like a local on your next trip to Big Sky. From year-round community and holiday events to local grocers our beautiful mountain town is the perfect place to call home on your next vacation. Whatever you’re in the mood for, Big Sky Town Center and Meadow Village offer a variety of restaurants to make everyone in the family happy! Join several restaurants that line the streets, or go on down to one of our favorites located on highway 191, The Riverhouse, where you can enjoy barbeque and the locals to enjoy a beer. Upon arrival, be greeted with Bugaboo’s Café for a heavenly, hearty breakfast with a divine Bloody Mary. Lotus Pad is a Thai restaurant, which is delicious, where you can enjoy a vanilla Thai tea on the rocks and homemade pad noodles. Whether you’re in the mood for a fresh baked classic chocolate chip cookie or a breakfast pastry, Blue Moon Bakery will put you on the fast track to sweet tooth satisfaction. If you’re in the Blue Mall area, By Word of Mouth has appetizing salads and after dinner drinks that include house cocktails and martinis. Try our two-top notch local breweries, Lone Peak Brewery and Beehive Basin Brewery, for a Bourbon Barrel Stout or a Greenbridge to quench any thirst after listening to Music in the Meadow on Thursday nights during the Summer months. If you’re in the mood for a more elegant meal and kid-friendly, visit Olive B’s where you can enjoy fine dining that includes 4 course Schug wine dinners or to die for appetizers such as their oysters and crab cakes. If you’re in town and do not want to drive to Bozeman for groceries, try Roxy’s where there’s superior customer service, a variety of healthy and natural specialty products, and a deli that has homemade salads that are delectable. The Country Market, a local’s favorite, provides a range of groceries, fresh meat and produce and offers delivery service. Lone Peak Cinema movie theater, located in Town Center, shows the current Blockbuster hit films while having Trivia Night on Friday nights during Summer months. You can sit back and enjoy the movie with a cocktail in your hand. For more than ten years, Music in the Mountain has been one of Big Sky’s finest, free outdoor concert series. These family-friendly concerts are held every Thursday from June to September starting at 6 P.M. They are known for featuring the well-known artists. Almost a decade later, the Big Sky Farmer’s Market located at the Fire Pit Park in Town Center, is a favorite Summer event. The Farmer’s Market has an emphasis on culture and art, homemade products such as honey and soaps, and homegrown vegetables. During football season, visit the top-notch Lone Peak Brewery for free appetizers such as chili nachos and wings or free tastings of Willie’s Distillery Canadian Whiskey. Big Sky Community presents a Fall Festival each October for family fun. Enjoy an 10K trail run, pumpkin give-away, kids’ activities with local vendors to satisfy your taste buds. On Halloween, Big Sky’s Fire Departments puts on a Halloween Bash! Come and enjoy free hot chocolate or apple cider followed by a haunted house. Be sure to bring a canned or dry good. As ski season comes to end, enjoy Big Sky’s Pond Skim Event by watching people skim across a homemade pond. This is an event that you don’t want to miss! Tag along and take a risk – be one of the skimmers by registering through Big Sky Resort. Join Big Sky for their 4th of July Celebration at Big Sky Community Park for excellent activities that’s family friendly, such as, face painting and story time, followed by topping off your 4th of July night off with fireworks at Town Center. Join Big Sky’s PBR, which is known for the event of the year. The PBR attracts over 10,000 bull ridin’ lovin’ fans! The PBR weekend features two nights of bull riding and three nights of free concerts. The Rut 50K is an extremely challenging mountain run held at Big Sky Resort during the month of September. If you like a good challenge, sign up with Big Sky Resort. The Christmas Stroll in Meadow Village and Town Center highlights sleigh rides, ice skating, a bonfire with delicious mouthwatering s’mores, plus, a free magic show with a fun filled dinner, live music and fireworks to top off a spectacular event. Join one of Big Sky’s creative events, the Art Walk, which is held in July. Highlights include a show of new and accomplished artists to feature their artwork and take a self-guided tour. Refreshments are provided at each venue. The Arts Council of Big Sky is pleased to show the production, The Nutcracker, each December at the Warren Miller Performing Arts Center. It features an array of accomplished dancers, local dancers, live musicians, and a live orchestra to perform the music. If you want to get involved with the locals, come and support students and teachers at the Big Sky School District Annual Pie Auction. This is the biggest fundraiser of the year for Big Sky’s expanding schools. This delicious fundraiser, held every March, allows for all of the unique programs that make Big Sky’s School District so special. There is so much going on in our small town. Big Sky is sure to keep your calendar full all year! 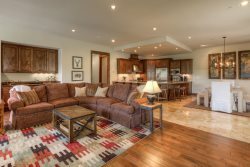 Visit Montana today, we have a variety of vacation rentals available; from slope side to downtown we've got the rental that will be the perfect home base for you and yours. For help planning your Big Sky adventure contact Beehive Property Management for more information!